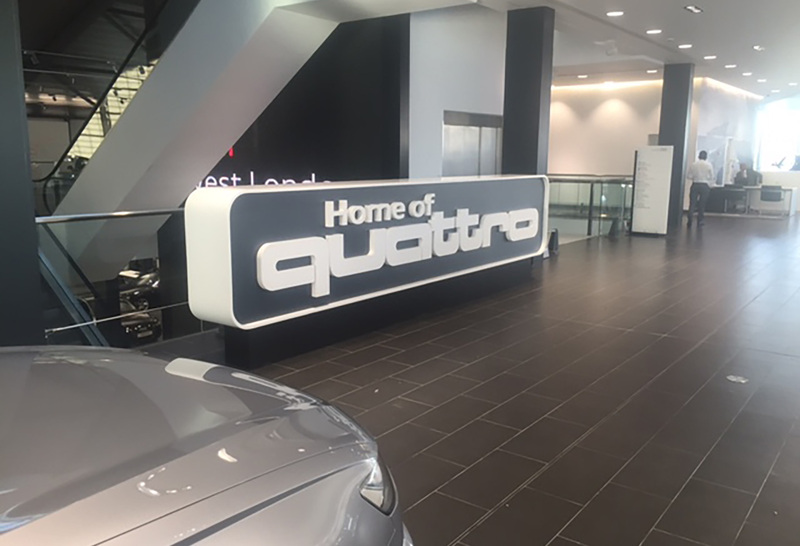 We were approached to work on a project for the Audi Team of ITG for a new feature display for West London Audi Flagship Dealership. 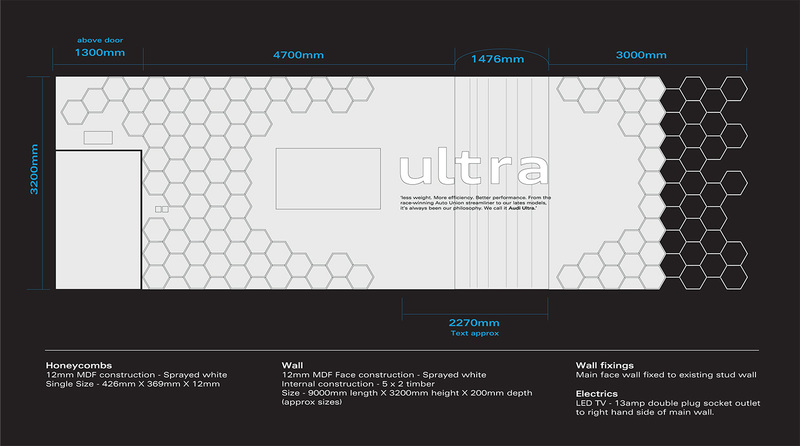 Initially the project combined 3 tasks, one of which was the Ultra Wall. 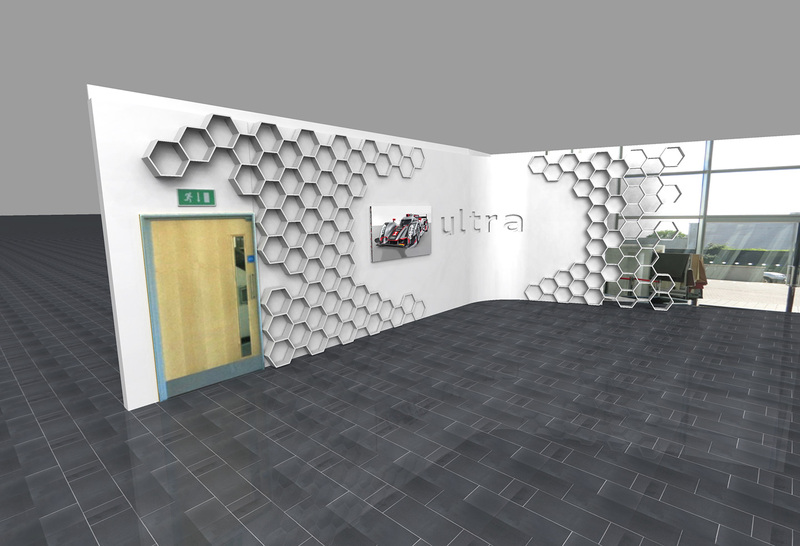 A display that required visual impact, sound, scale and a deep curve. Time to produce from concept approval: 6 weeks. From creative sign off, we worked our designs up into structural technical machine drawings. 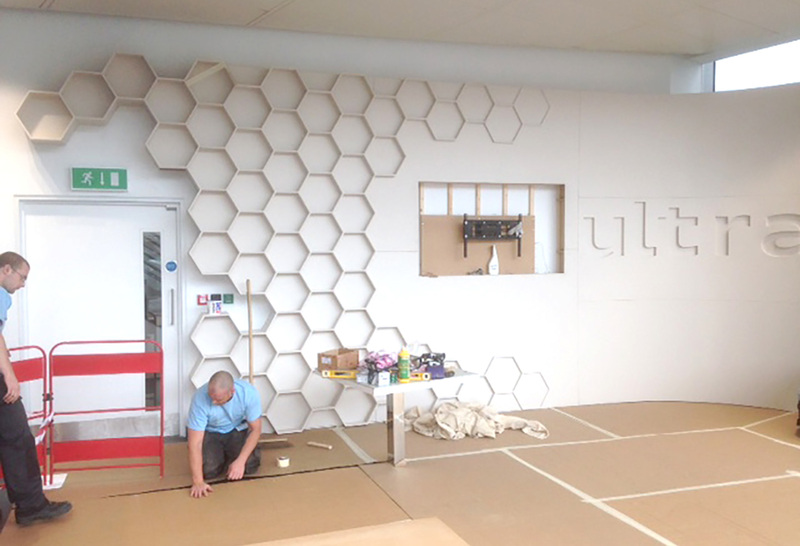 Made mainly from raw 6, 12mm, and 18mm MDF The display was constructed on site and wet sprayed. Vinyl and sound shower installation.